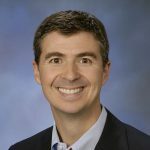 Paul Keller has been a founder, co-founder and executive team member in three privately-backed companies where his roles included mergers & acquisitions activities, private financing, marketing, sales and business development. In his most recent role, Paul had overall P&L responsibility for three business units that combined for more than 150 employees and almost $80 million in revenue. During Paul’s tenure, the company made several acquisitions, grew sales threefold, expanded internationally and was ultimately packaged and sold to a public acquirer. Paul’s prior roles have also included corporate development, business development and sales/marketing assignments in Fortune 100 corporations. His educational background includes a Bachelor of Arts from St. Olaf College and an MBA from Marquette University.